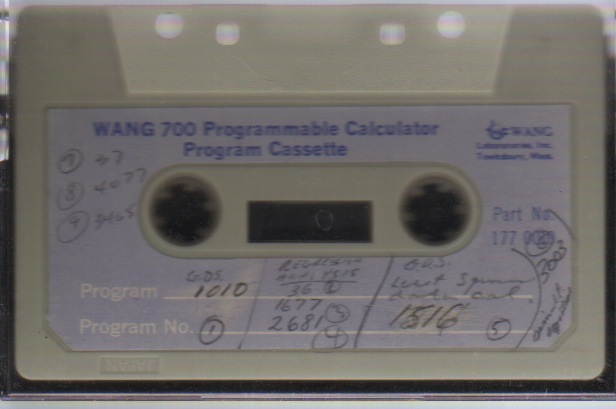 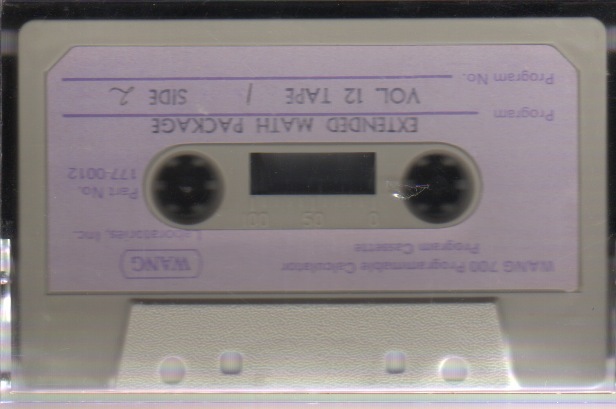 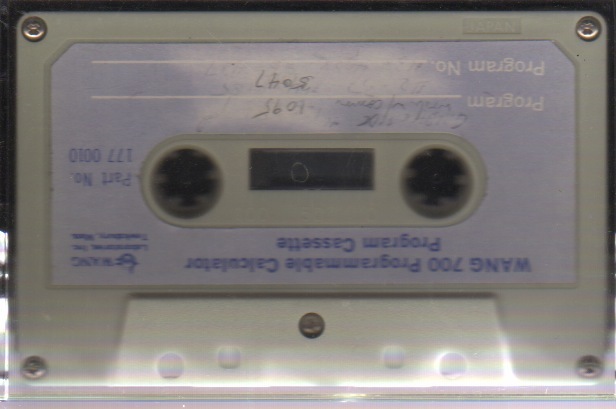 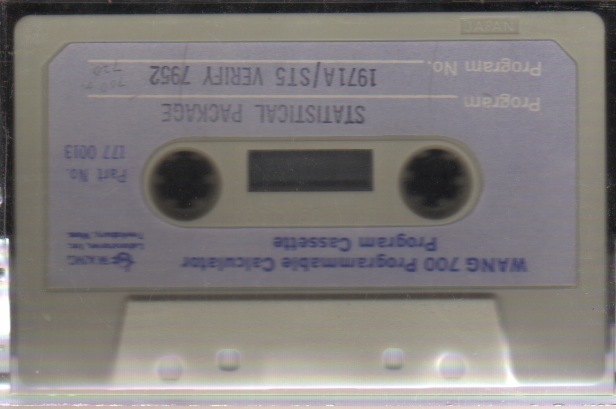 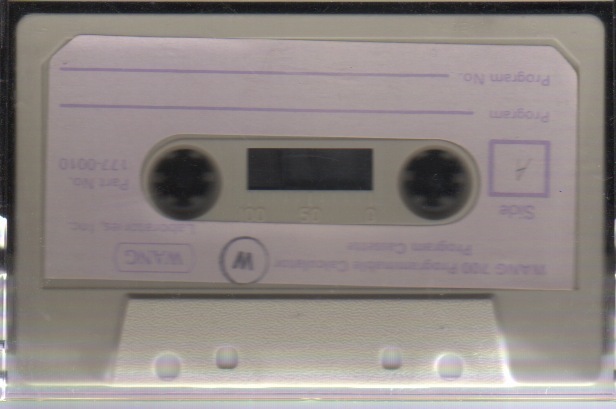 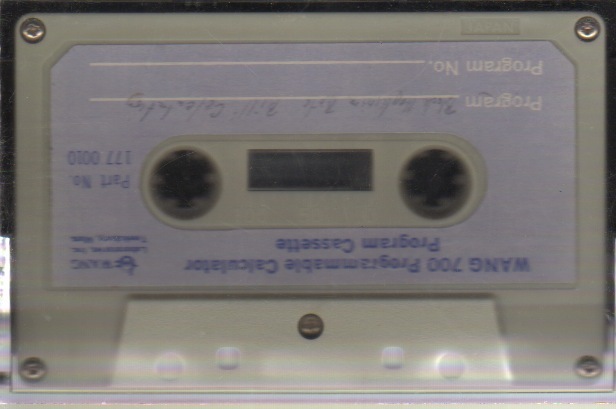 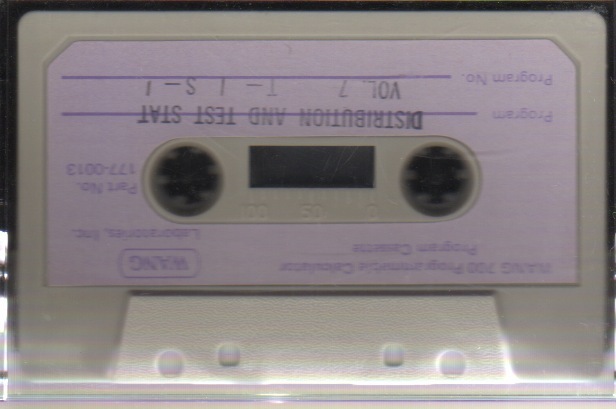 Fourteen cassettes for the Wang 700 programmable calculator. Ten are for programming the calculator. 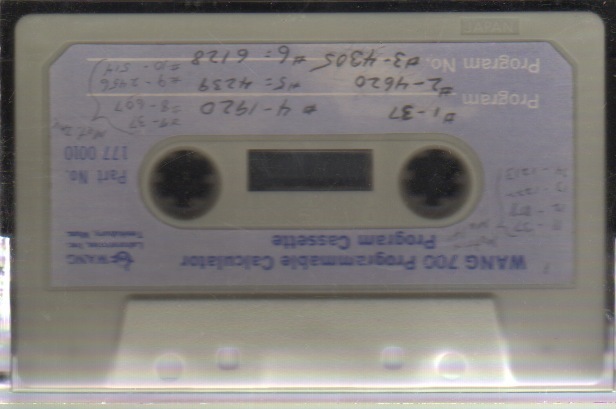 Four are data tapes. If you want to learn more about Wang Laboratories, please visit http://www.oldcalculatormuseum.com/d-wangcustom.html or the 7x0 series of programmable calculators, please visit http://www.oldcalculatormuseum.com/wang720.html.